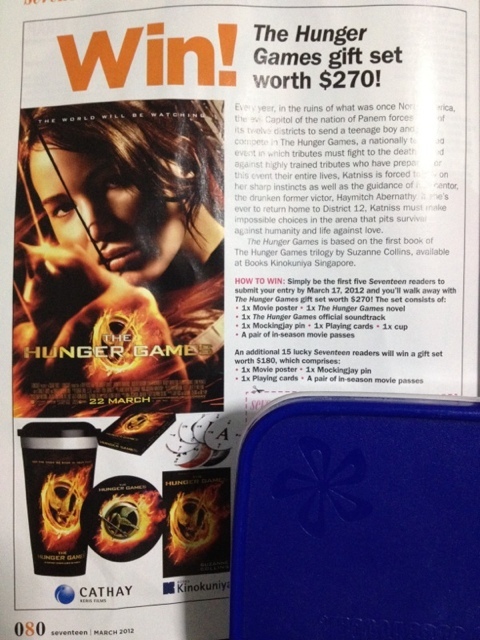 Singapore Seventeen Magazine’s The Hunger Games Contest! Singaporean fans, listen up! 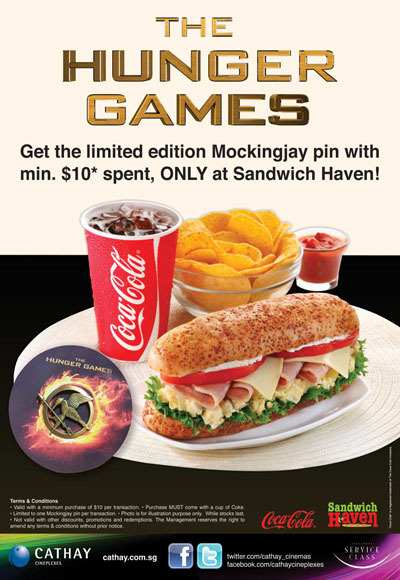 Seventeen magazine is having a The Hunger Games promotion in their March 2012 issue(already on newsstands)! 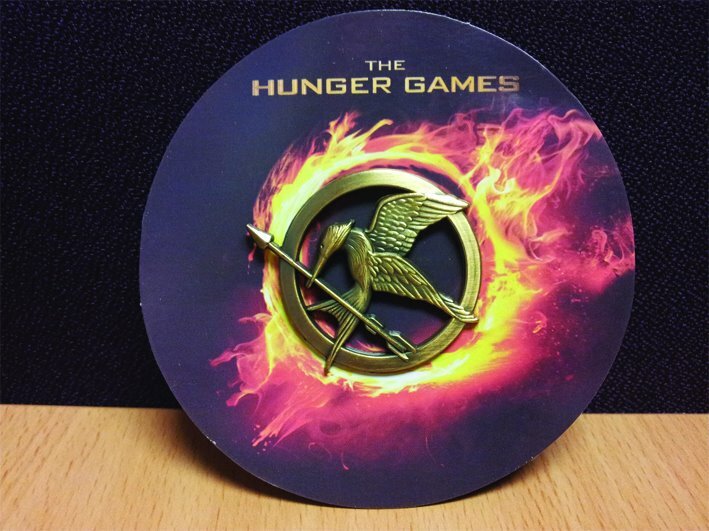 Simply send in your entry form cut out from the magazine to stand a chance to win up a The Hunger Games gift set worth $270! How cool is that?! 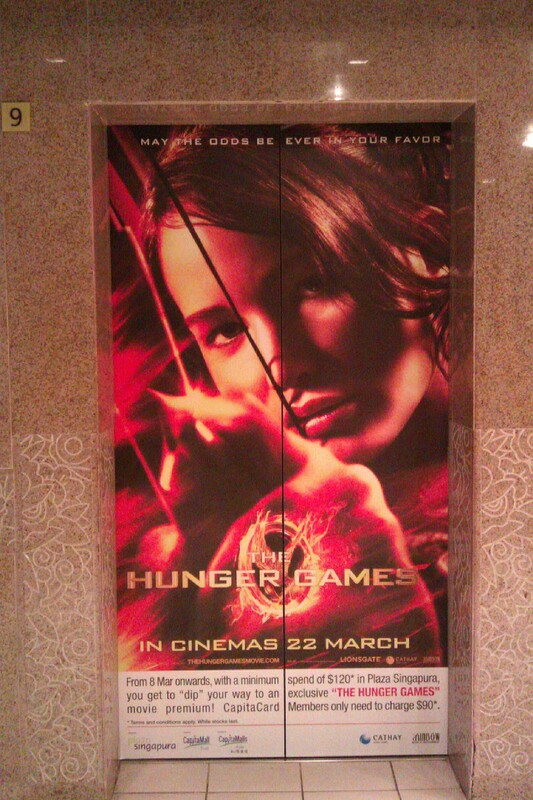 -A pair of in-season movie passes! Well if you think the odds of winning that aren’t in your favour, do not fret! You can buy Seventeen at most newsstands and bookstores, for $3! Some samples of the merchandise available. 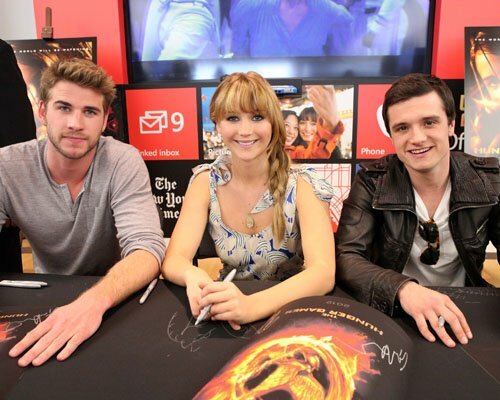 NECA will be releasing new ‘The Hunger Games’ merchandises through HollywoodVideo and Amazon via a partnership with Lionsgate to promote ‘The Hunger Games’ movie. 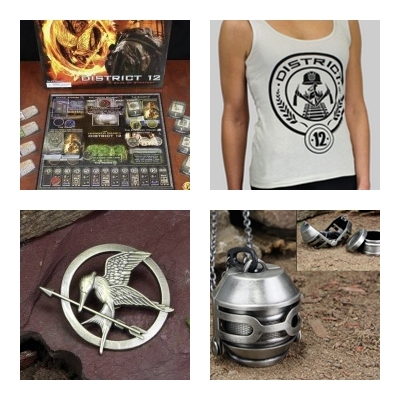 There are several unusual merchandises such as replica weapons and clothes from ‘The Hunger Games’ movie. 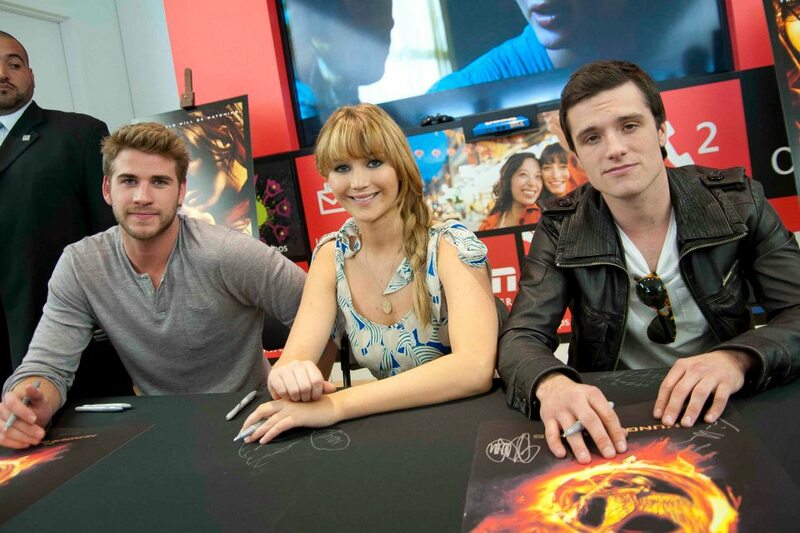 Perfect for those who are planning on cosplaying as characters from ‘The Hunger Games’ movie! 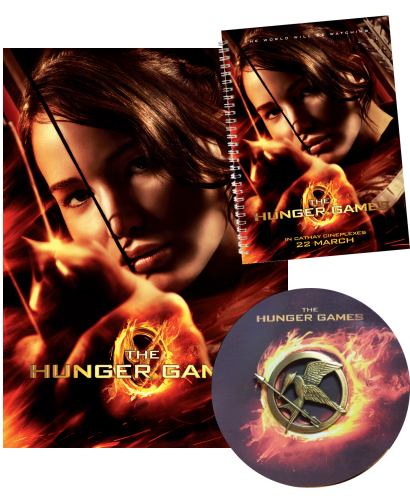 Head over to HollywoodVideo to view the full collection of products which covers from thermal mugs, character posters to Mockingjay socks and fleece throw! 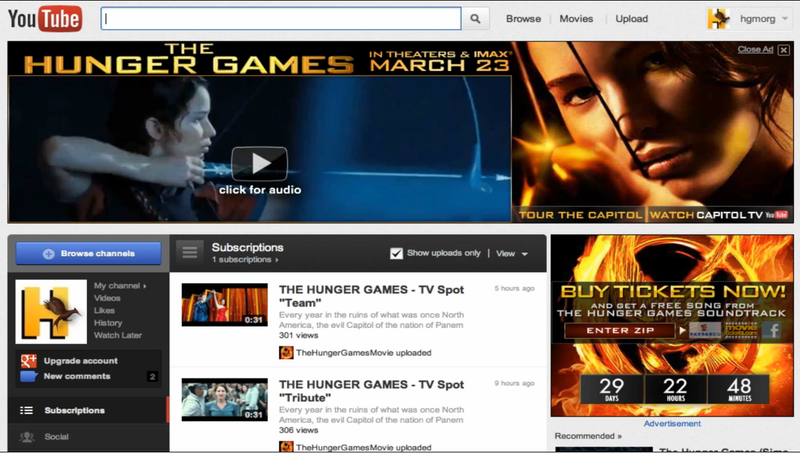 The products can be bought on HollywoodVideo, Hot Topic and Amazon too. Looks like you are now able to show your love and pride for ‘The Hunger Games’ in your daily life by incorporating these replica clothing and accessories!